Got a copyright claim for using our music on YouTube? Not to worry, this is NOT a copyright strike and your channel is not being penalized. Want the claim removed? We are here to help! 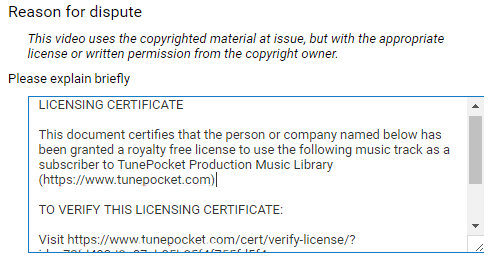 All TunePocket subscribers are granted a perpetual royalty free license to use our music in their YouTube videos (including commercial and monetized videos). 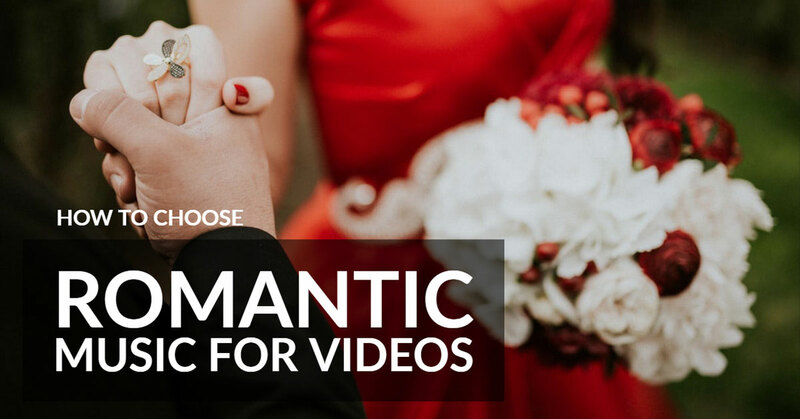 Scott Dumas, a professional videographer and one of TunePocket subscribers, explains the entire process in this step-by-step video tutorial. Some of our composers have opted to protect their music from unauthorized use by registering it in YouTube’s Content ID system. 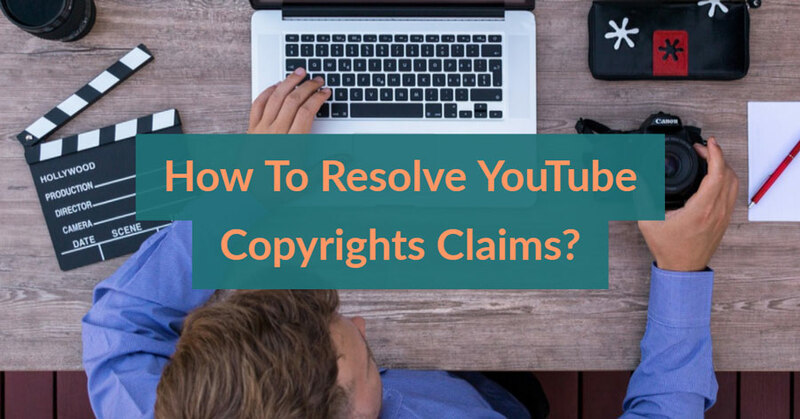 You may receive a notice from YouTube (also known as copyright claim) saying that your video contains copyrighted music and your video may display ads. This is NOT a copyright strike! Your video remains fully accessible and your account is NOT penalized! If you prefer to remove the ads please read on. Since you do have the license to use the soundtrack, most claims can be removed quickly and easily. 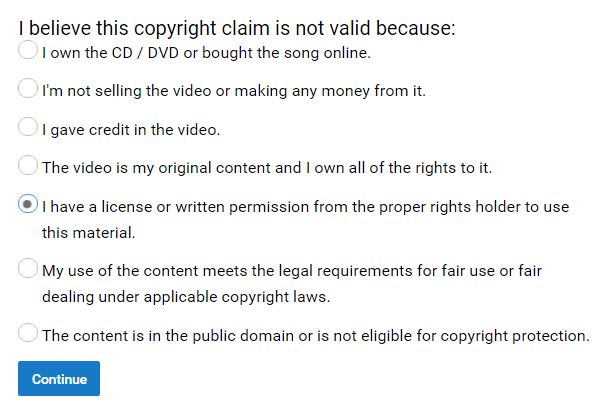 When on the Copyright Notices page, click on the © symbol next to the video to see more information about what is being claimed and who is claiming it. Look for the ‘Details’ section. In the Details section, note the name of the song and the claimant. Make sure the claim is specifically for the “sound recording”, as the videos get claimed for the visual material as well. If the claimant isn’t AdRev, please contact us for further assistance. 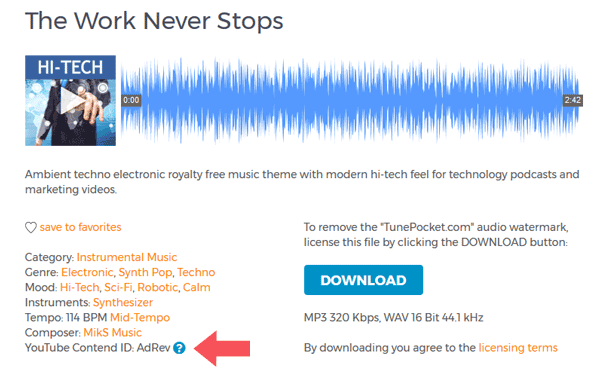 Every track you download at TunePocket comes with a personalized licensing certificate. Go to your download history, find the music track mentioned, and download the licensing certificate. Contact AdRev support and fill the online form. Make sure to include the link to your YouTube video and attach the licensing certificate as the proof of licensing. The licensing certificate has a link for verifying both your license and your subscription status. Ask AdRev to whitelist your entire channel to prevent future claims! Explain that you have an active subscription to a stock music library that entitles you to use any of our music tracks on YouTube. 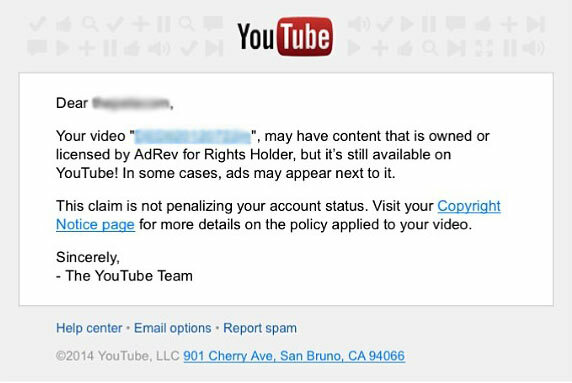 Once again, the licensing certificate has a link to help AdRev verify your subscription status. Dispute the claim via YouTube. Please note that for the AdRev claims it is recommended to contact AdRev directly (option 1). To dispute the claim via YouTube go back to the claims details page and click “File a dispute”. On the following page specify that you have a license to use the copyrighted material. Click continue and confirm your choice on the next page. Move to the next page. In the “Reason for dispute” box, copy and paste the contents of your licensing certificate. Click “Continue” to submit the claim. Can I tell which tracks are registered with Content ID? Furthermore, you can filter out all AdRev registered tracks from the search results by using the ‘No Content ID’ filter in the sidebar. If you received a claim for using a music track labelled as ‘no Content ID’ please let us know, so we could update our records accordingly. Can I clear the claim BEFORE publishing my video? Upload your video but keep it “Unpublished”, clear the claims as described above, and then change the status of your video to “Published”. Why music composers use AdRev? Over 70 hours of new video are uploaded to YouTube every minute! Not surprisingly, many of these videos contain unlicensed background music. We understand that dealing with claims is an inconvenience, however we also respect our composers right to protect their music. You may be surprised but for a YouTuber (especially if you monetize your channel) it is actually much safer to use AdRev registered music. AdRev is a YouTube Partner platform that relies on the Content ID system to manage and administer copyrighted content on behalf of individual content owners (as opposed to large recording labels and publishers). 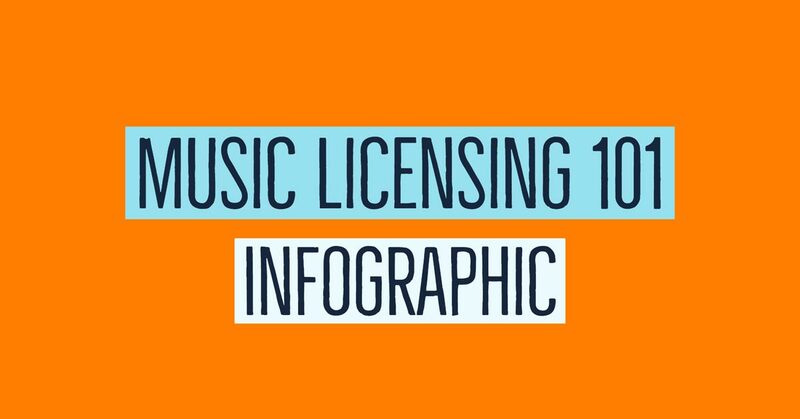 This platform enables the composers to get a share of YouTube’s advertisement revenue by displaying the ads in the videos that use their music without permission. AdRev can effectively whitelist YouTube channels to prevent triggering the claims. Please note this only apply to the music registered specifically with AdRev. Need help resolving the claim?